SAN Miguel Beer has continued to trim its roster ahead of the Friday deadline set by the PBA for teams to submit official lineups before the new season opens on November 20. After releasing Gary David, Rashawn McCarthy and Jovit dela Cruz appeared to be on the bubble as the Beermen prepare an opening-day 14-man roster for the start of their Philippine Cup title defense. Apart from June Mar Fajardo (headache) and Alex Cabagnot, who attended the wedding of his sibling, SMB’s top draft picks McCarthy and Dela Cruz were absent during practice on Monday. SMB coach Leo Austria and team manager Gee Abanilla were tightlipped on the status of the two rookies. 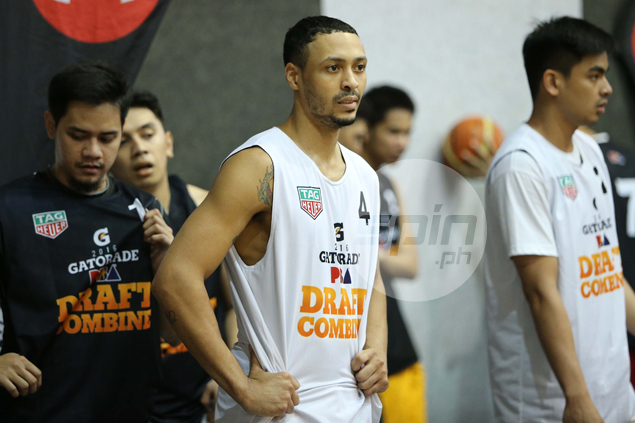 Player agent Matt Manotoc, who represents McCarthy, the sixth pick in the regular draft, insisted the Filipino-American standout guard remains an SMB prospect. “It’s a little messy, but they’re still assessing him,” Manotoc said on Monday. Apparently, the abundance of Fil-foreign players is bound to hurt McCarthy's bid to crack SMB's lineup. PBA rules limit teams to five Fil-foreigners in the active roster. The Beermen already have a handful of Fil-foreigners in Marcio Lassiter, Chris Lutz, Chris Ross, Brian Heruela, David Semerad, and Alex Cabagnot, not to mention Van Opstal. If he does fail to land a contract, McCarthy will become one of the highest draft picks left unsigned by a team. SMB picked Dela Cruz in the second round of the regular draft after getting Arnold Van Opstal from the special draft for Gilas cadets. Keith Agovida, acquired in a trade that sent away Ryan Arana, has shown flashes of potential in practice and looks poised for a small forward spot with the departure of David and Ronald Tubid still nursing a minor injury. Chris Lutz remains out with an own injury.